This report builds on previous uncertainty that pitted a bold post-dating of sequels months before Genisys was even released, against the steep financial requirements that movies must meet, both at home and in foreign markets. In an earlier piece by THR, the franchise’s fate was up in the air, as it had yet to open in China. And though the mythology-upending Genisys turned out to absolutely kill it in China, it won’t be getting two more follow-up films after all. And while it may disappoint the modest cadre of U.S. Terminator: Genisys fans, scrapping the sequels may be for the best. James Cameron has spent most of his adult life busying himself with Avatar sequels and piloting RC submarines, but the rights to The Terminator revert to him in 2019. 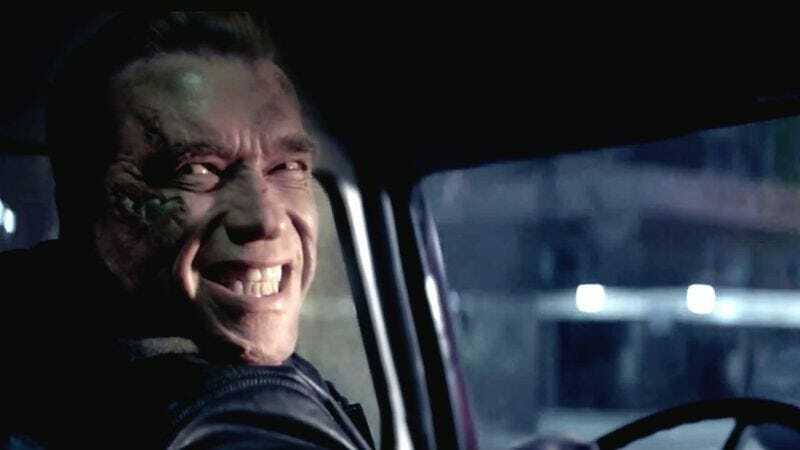 Though that theoretically allows Paramount enough time to crank out a couple more Terminator movies, it sounds like they walked away from a plan to do exactly that. If we can just hold on and survive without Terminator for a few more years, it may not matter. By then, either Cameron will invite the Terminator to come with him if it wants to live, we’ll be too busy immersing ourselves in his Avatar: 4D VR NSFW Experience, or President Trump will have already signed our collective death warrants by contracting out border patrol efforts to Skynet.